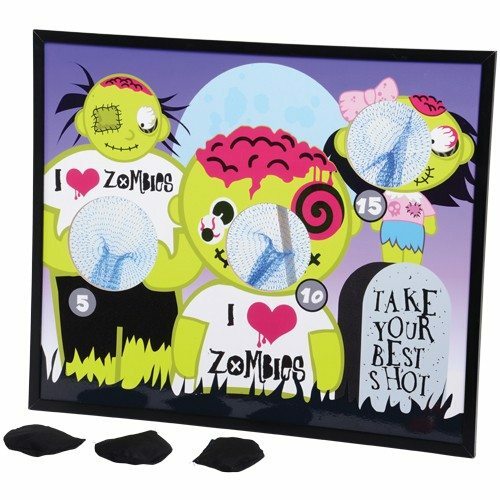 A great game for kids and adults alike at any zombie-themed event or school carnival. Size: 19 5/8″ W. x 16 3/8″ T.
Set includes 3 beanbags and scoreboard frame. Kathryn from Deer Park & T. Kim from Philadelphia purchased this item recently.